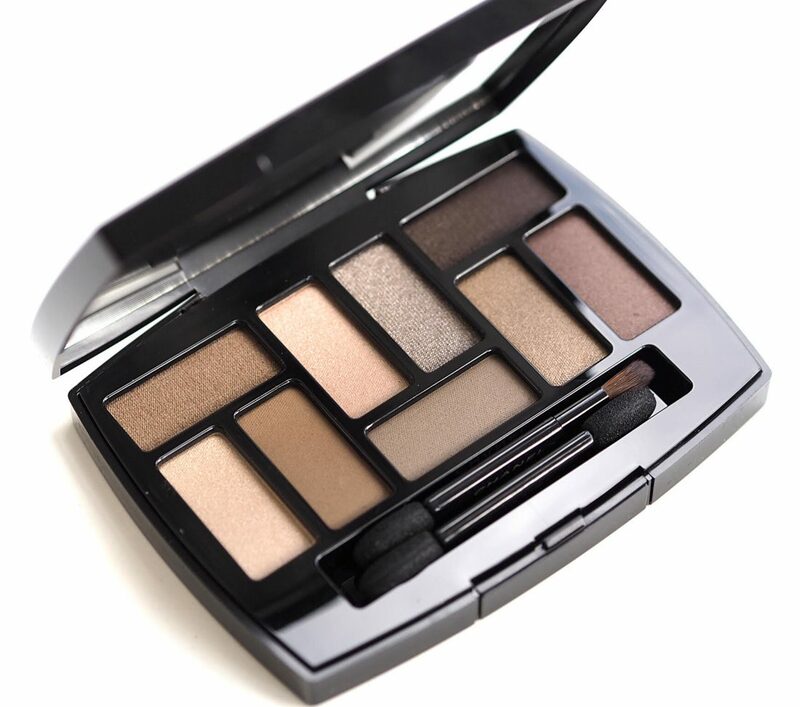 [productsample] The second part of CHANEL Les Beiges 2019 covers the new palette, Les Beiges Natural Eyeshadow Palette, Les Beiges Healthy Glow Lip Balm Intense and Les Beiges Healthy Glow Sheer Powder. The palette is gorgeous although if you like brights for eyes then you may not be in agreement. Personally, every shade is wearable to me whether it’s just a bit of peachy glow on the lids or a fuller, summer smoky look. 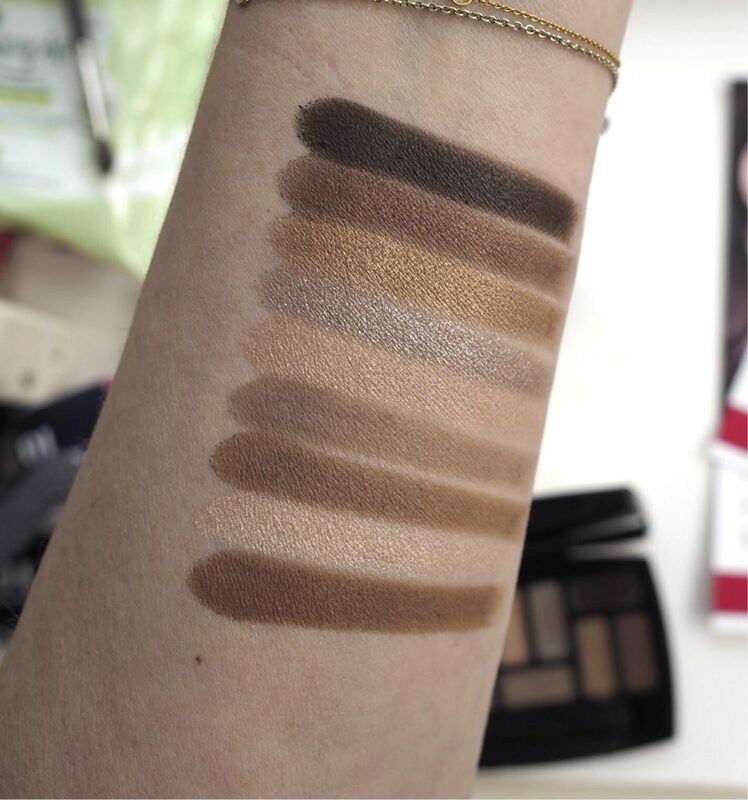 There are 9 shades, as you can see, and a mix of light reflecting and matte textures. 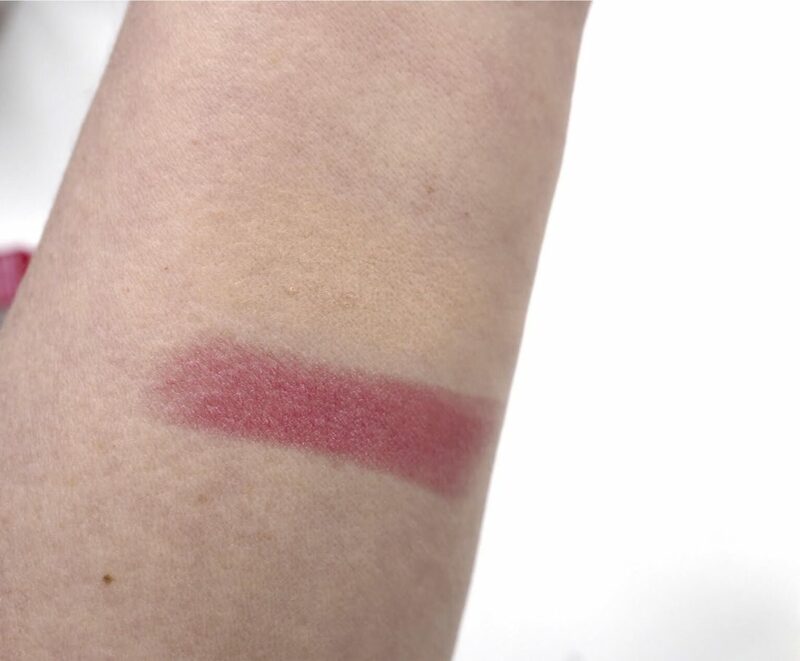 The swatch coming up gives you a clear indication of the pigment and smoothness. Only a few short years ago I was so over the majority of neutral colours – I just needed to see brighter hues. Now, I look at this and think thank god there are no challenges! 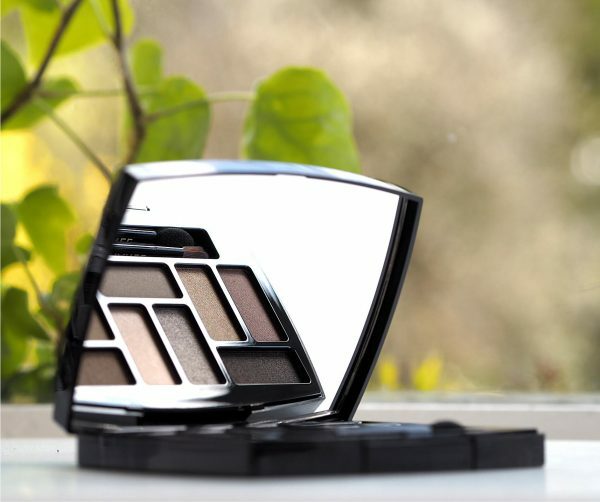 It’s genuinely an easy wear, designed to give a pared back beauty look in keeping with warmer, summery tones and the trend for natural, earth inspired colour. In my view, there isn’t a bad shade in there. 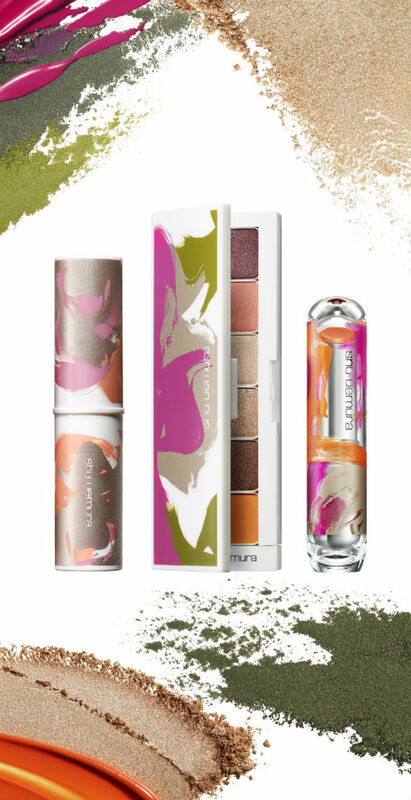 I haven’t seen all of the summer collections from other luxury brands yet and I’m curious to know if they’re all taking this neutral route. Somehow, I feel a palette based on blues might look rather wrong now. Maybe not, it’s so often the mood of the moment. Les Beiges Healthy Glow Lip Balm Intense is a curious product. It’s designed in a shade that in theory suits everyone by giving a sheeny, brickish red (that skews pink on me) tint + to lips. 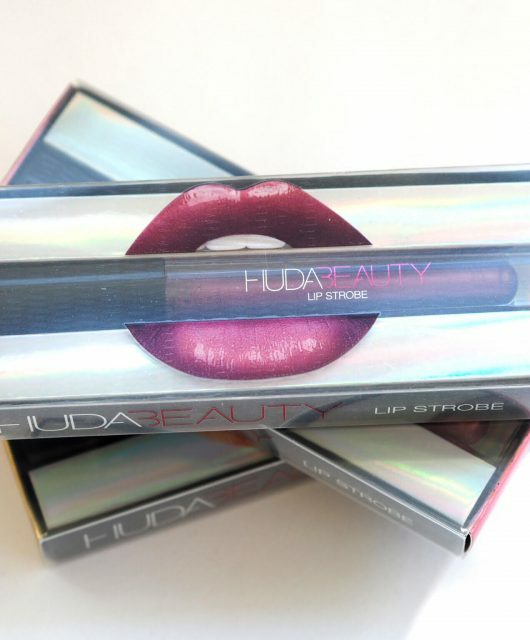 Because it’s translucent, your natural lip tone will skew the shade so it won’t look exactly the same on everyone. There is enough pigment that your lips look covered but not so much that your own tone (both skin and lip) doesn’t come into the picture. I was in a room with 8 other women, and it looked good on everyone. Because my arm tone is light, the balm looks pinker than it does on my lips. 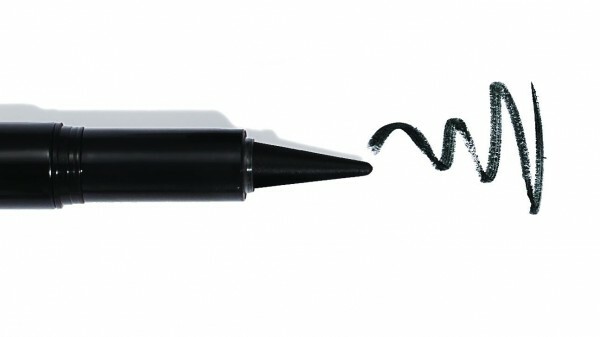 The finish is juicy and it’s the kind of colour you can wear with nothing else at all. I’ve also got the Healthy Glow Sheer Powder swatched but have such a light shade that it barely shows. 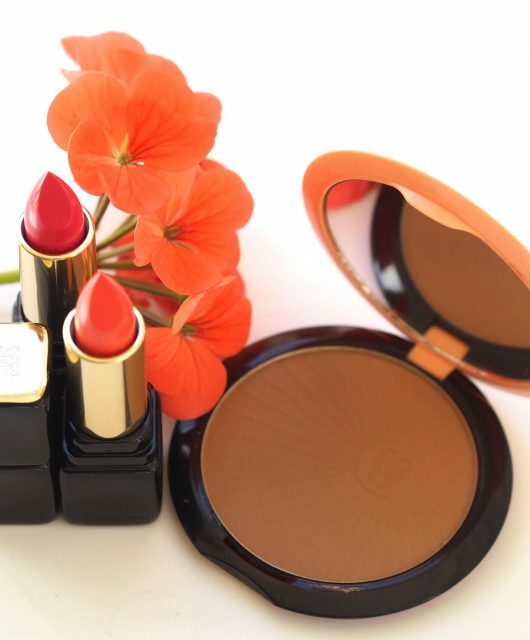 There’s nothing to new to report about it other than it looks slightly different this year, but otherwise, it’s the same reliably silky bronzing powder. 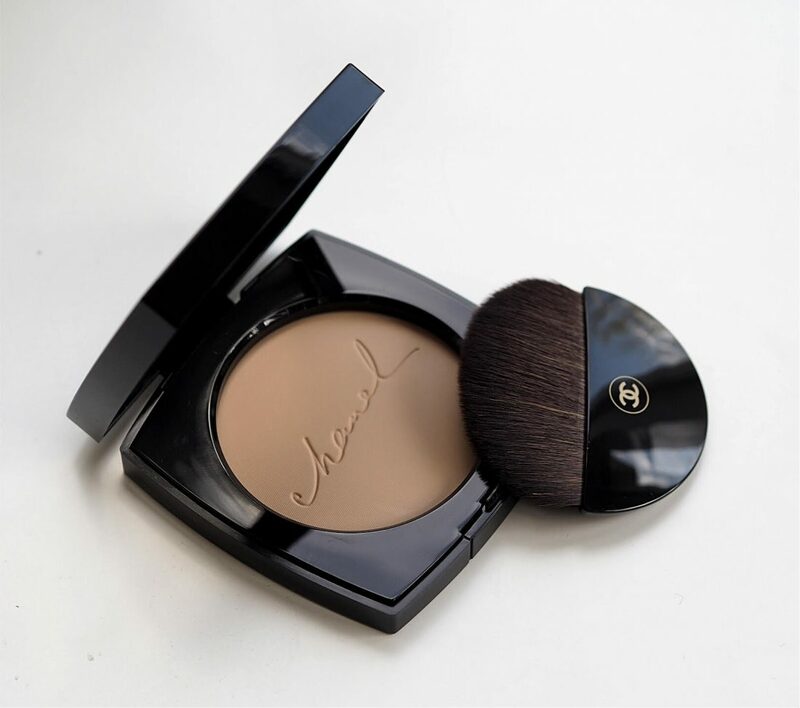 It comes in 7 shades with Chanel written across the powder in Gabrielle Chanel’s handwriting. Nice touch. 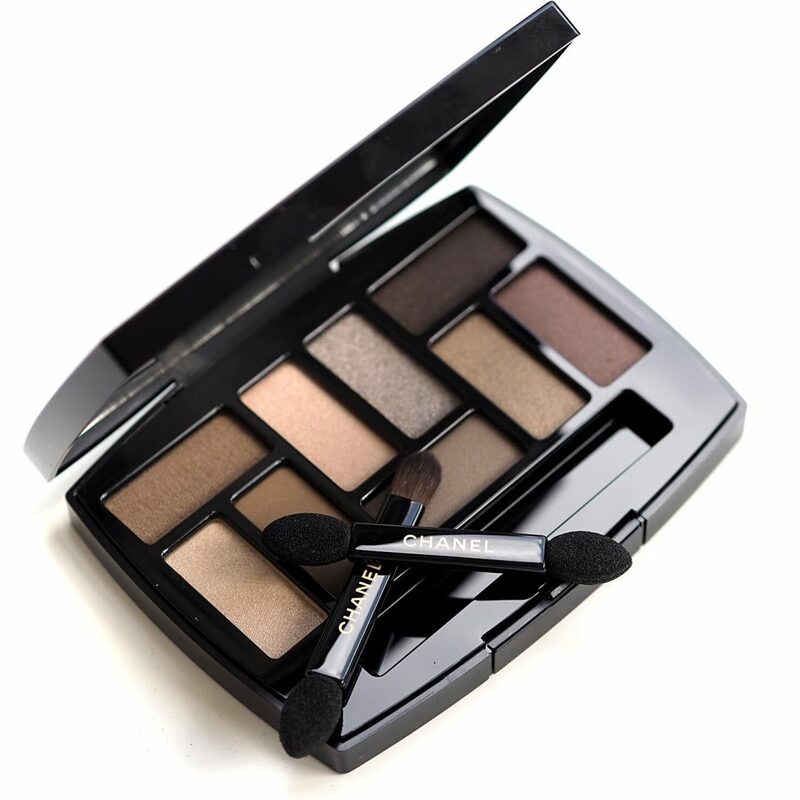 Again, these are 14th April launch and prices are as follows: Palette, £67, Balm, £31, Healthy Glow Powder, £42. Great start to the day; a second Chanel review! 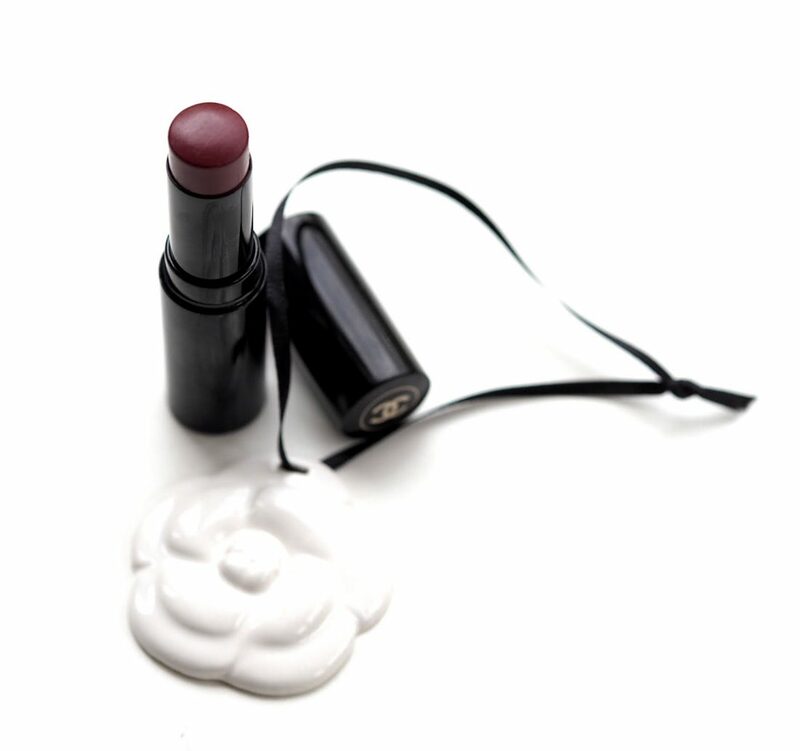 The lippy is too pink for me, but I do need a new No 30 powder (a miracle beautifier, don’t know what the secret is) so that will be a little delight in its new packaging. (Meant to add re the water tint stuff: how fab that the brush is included). God, that palette is calling me! What is it about Chanel that is so instantly covetable?! I do love Chanel! I’m very tempted by the lip balm but wonder how long it stays put? Balms have such a high oil content they can never contend with lipsticks at staying power..but it’s not a 5 minute wonder.. I was quite impressed with the stay. Jane, I have read that the (brilliant) powder compact you feature will not contain any SPF in this limited ed. iteration. It’ll be even more sheer! 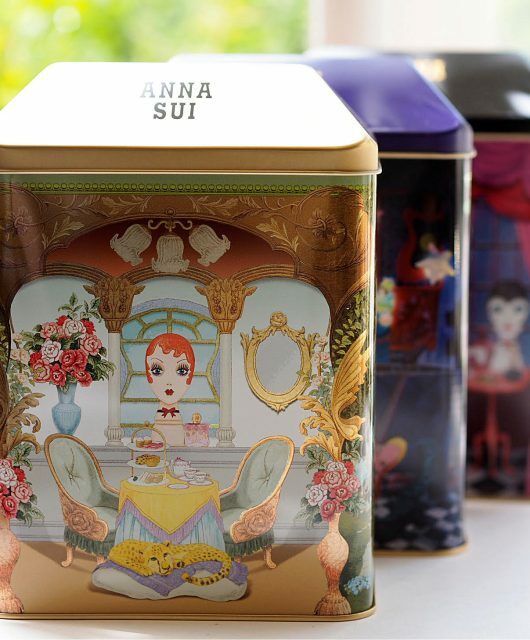 I’m delighted; it’s a miracle product already so this should be truly divine. What great timing….. mine is at pan-scraping, running out level now. Whatever is in the powder has transformative power; I catch myself thinking I look much better than I should, which is always bice!